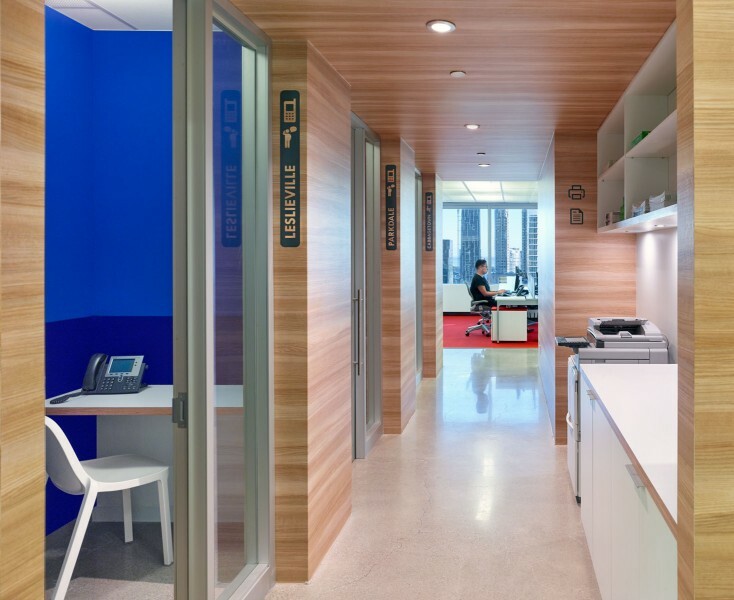 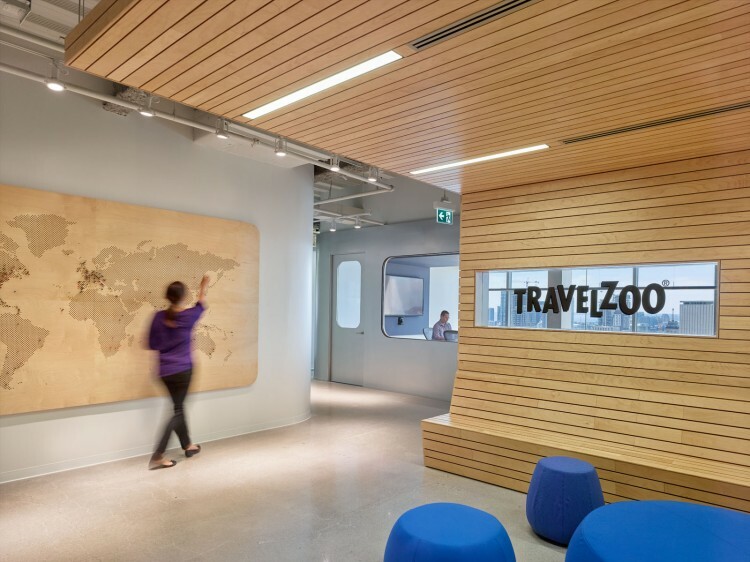 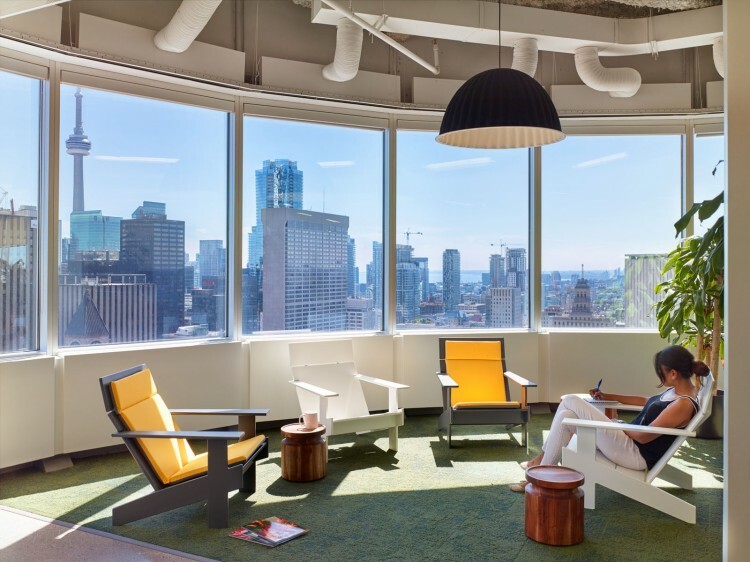 Travelzoo, a global internet media company specializing in travel and entertainment, sought a new workspace for their Canadian headquarters that would capture the spirit of the company’s vibrant culture and brand. 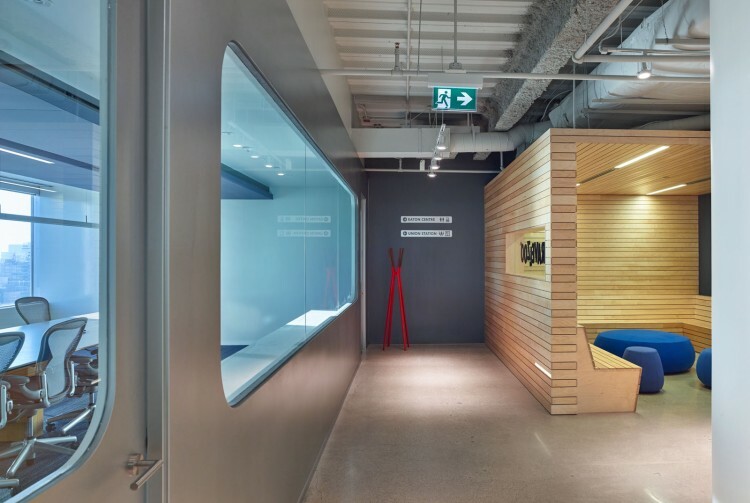 The design was inspired by travel destinations and modes but also features the dramatic cityscape of downtown Toronto. 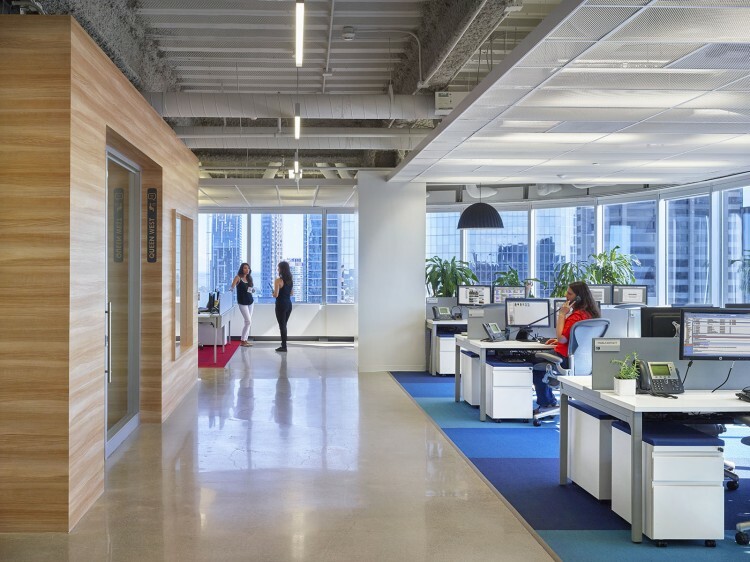 The conference and lunch-room volumes allude to modes and nodes of high-speed transport such as train stations and airports, while the huddle rooms and lounge areas suggest casual destinations such as cabins, parks and beaches. 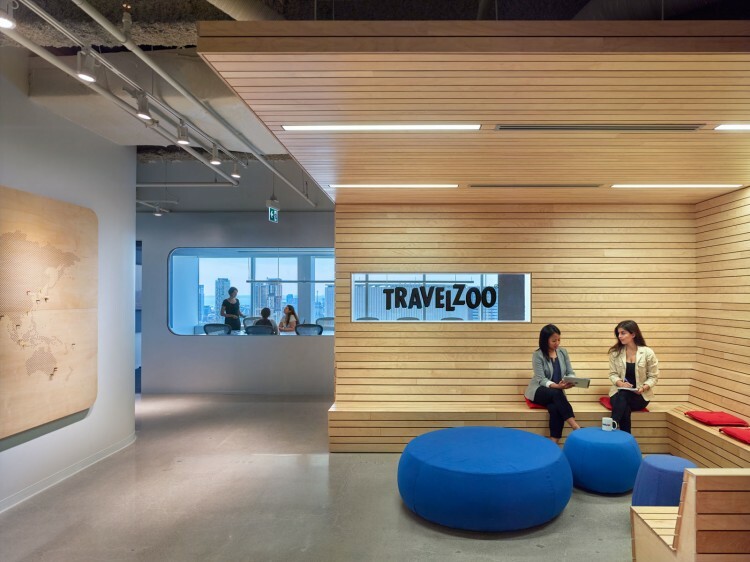 Travelzoo’s brand colours, red for action and blue for tranquility, are combined with touches of bold contrasting colours to enliven the space while remaining cohesive with their branding. 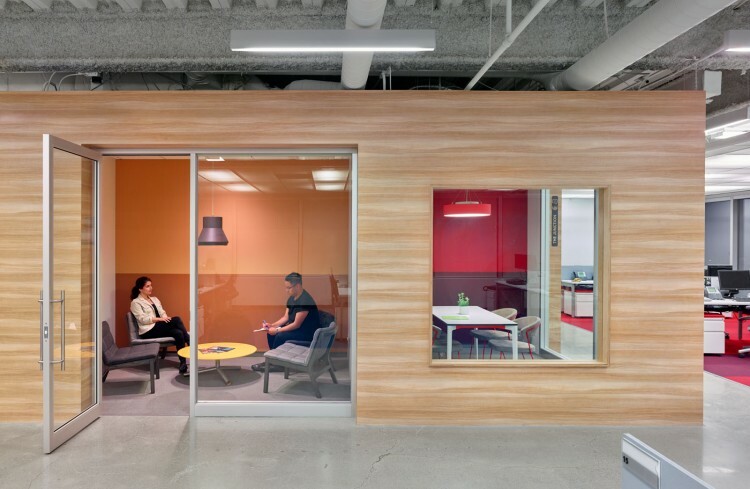 The project’s tight budget necessitated a strategic approach to materials and design. 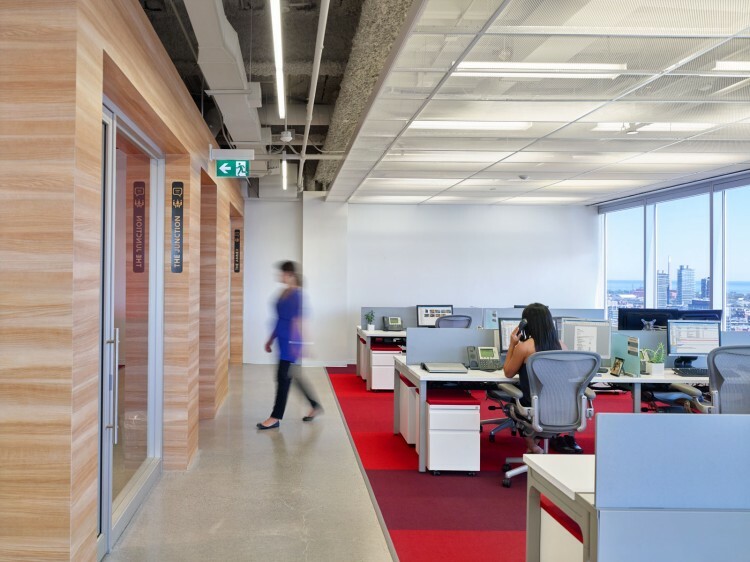 The cabin volume uses a Japanese automotive product printed to look like wood, and the conference room is painted in metallic silver that creates the gleam of real metal. 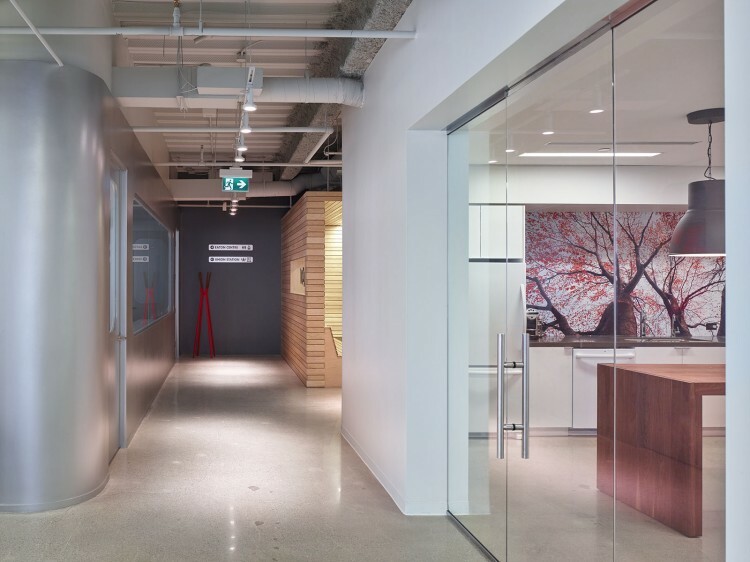 The clients’ desire for an exposed ceiling presented a challenge, but an elegant solution was found in a metal mesh ceiling that makes the space feel more open while masking the rough texture of fire-proofing insulation above. 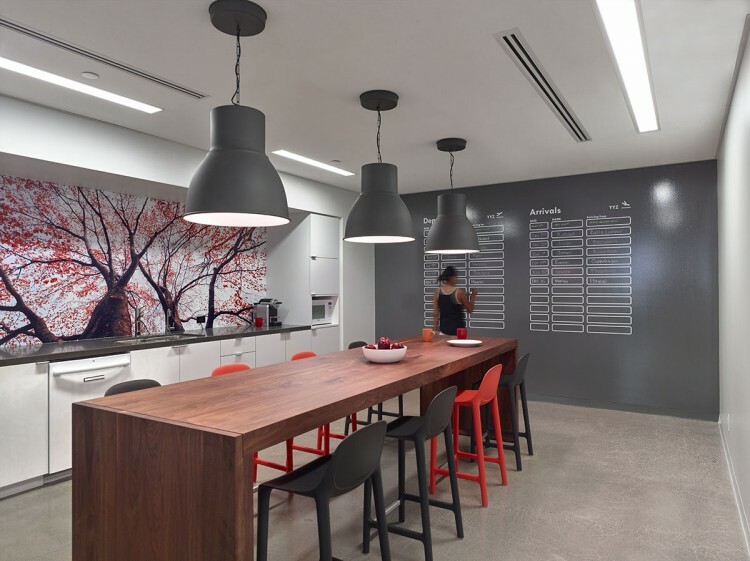 Graphic interactive elements also incorporate travel-culture motifs. 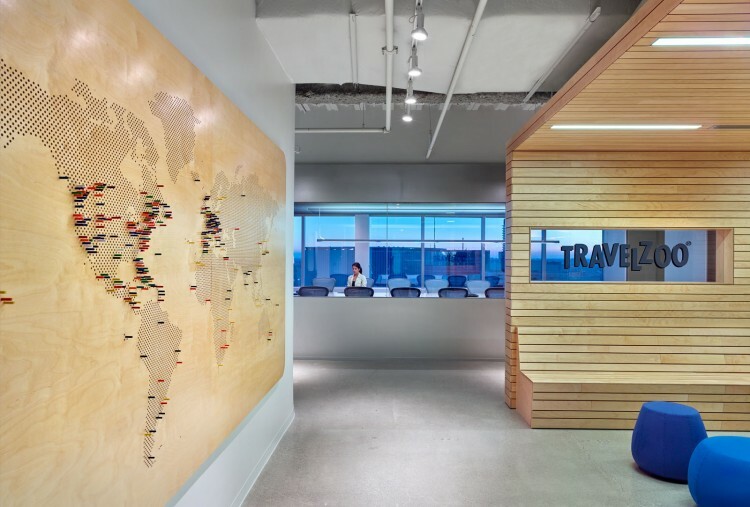 A playful arrivals/departures board in the kitchen helps keep track of employees’ globe-trotting, and in the reception area a large interactive world map fashioned out of plywood has coloured wood pegs for them to plug into the far-flung places they have been.